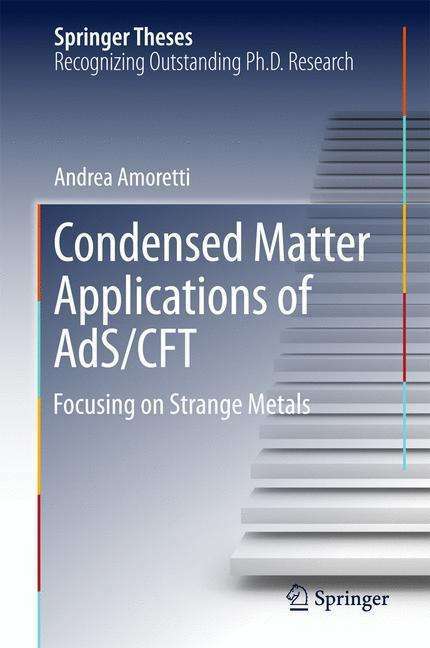 Der Artikel Andrea Amoretti: Condensed Matter Applications of AdS/CFT wurde in den Warenkorb gelegt. 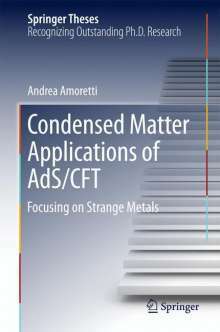 The book deals with applications of the AdS/CFT correspondence to strongly coupled condensed matter systems. In particular, it concerns with the study of thermo-electric transport properties of holographic models exhibiting momentum dissipation and their possible applications to the transport properties of strange metals. The present volume constitutes one of the few examples in the literature in which the topic is carefully reviewed both from the experimental and theoretical point of view, including not only holographic results but also standard condensed matter achievements developed in the past decades. This work might be extremely useful both for scientific and pedagogical purposes.